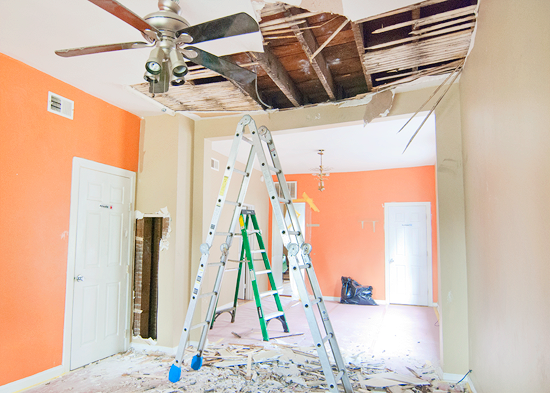 structures 101: what holds up that ceiling? So what was going on inside that ceiling?? 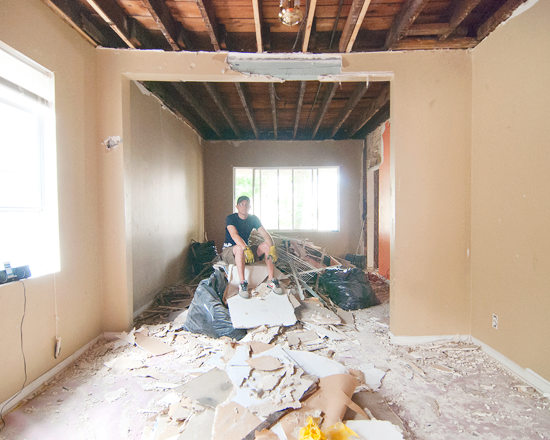 I’m a little behind Kim and Scott in telling the story, so if you haven’t peeked at their blog already and seen, below are some photos of the demo and what we discovered (or they discovered, since they were the ones swinging the hammers!) when the drywall finally started coming down. But first, a quick lesson in Structures. Even with it being my least favorite class in grad school I was still able to grasp the basics and the first one is simple: You don’t want to span longer distances than you need to. If you don’t happen to be an architect or structural engineer, I’ll just fill you in on the main point: that’s a really long way to span. 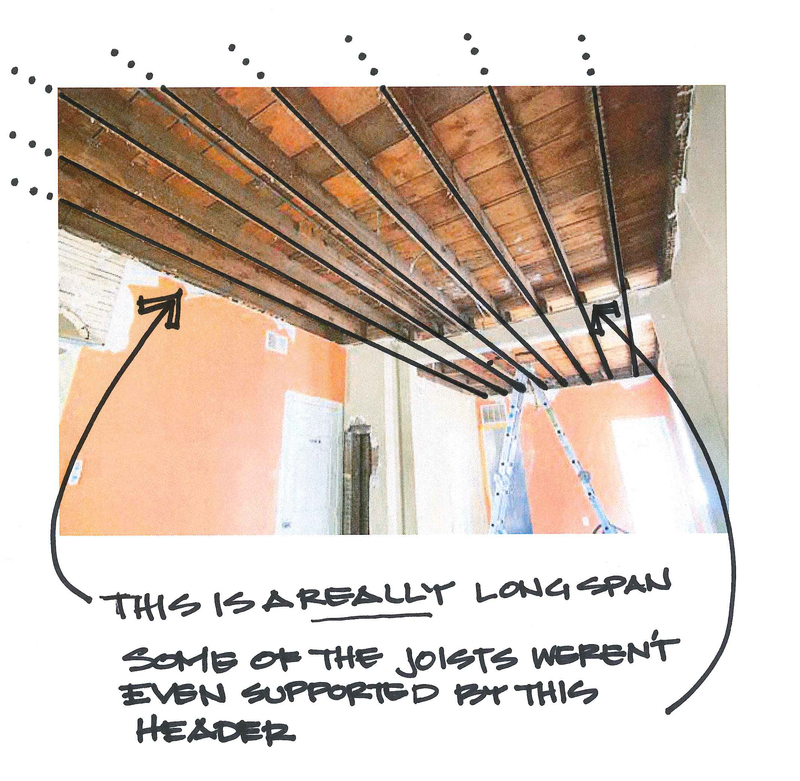 And, as you could see from the existing photos in the earlier post, if you don’t have adequate support, the joists will start to sag (deflect) which really isn’t pretty (or structurally sound). We weren’t really surprised to discover what was actually going on, but we did wish we had a time machine to go back and ask what the original builder was thinking! 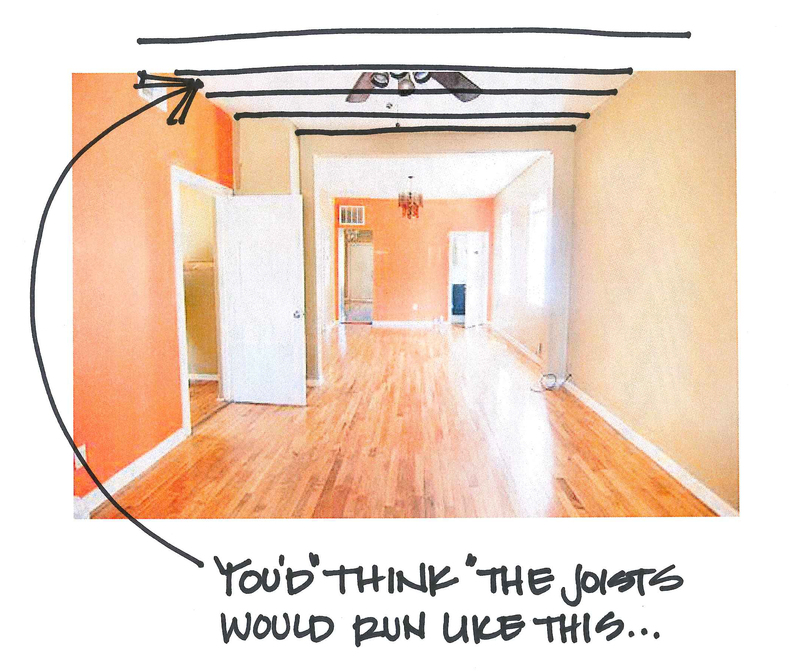 Or that they would have at least left a note inside the wall or something so that we’d have a clue. From what they could deduce from stories from the previous owner, someone had previously tried to open up the wall between the two living areas and when they started to demolish the wall between them, the ceiling started to sag – but instead of actually fixing the problem, they just kind of propped the ceiling back up as well as they could and kept a framed opening, but didn’t fix the sag or adequately support the ceiling/second floor. 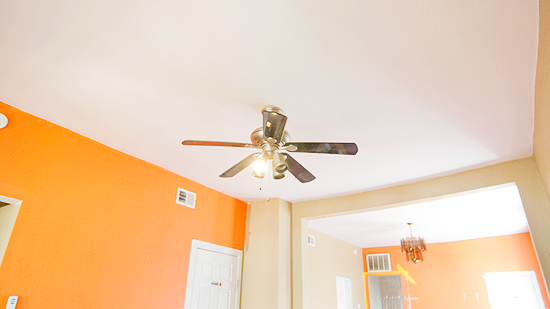 Since moving in, Kim and Scott have discovered that the house was originally just one story, so it’s quite possible that over time, and through different owner’s, people made assumptions about the structure and when they went to make changes this was just an unhappy accident. It’s also possible that the floor plan was quite different when the house was originally built, so this is just one of those great unsolved mysteries that comes along with a vintage house. … and sometimes you get fun surprises! 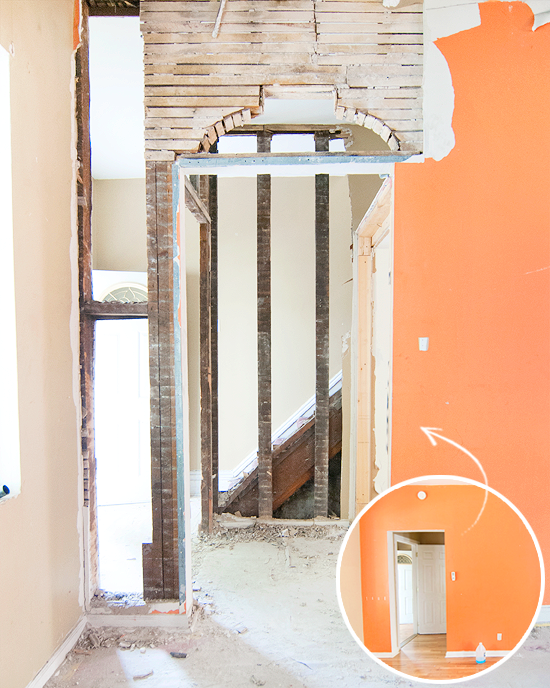 One such surprise was a cute little arched entryway that they discovered… why would anyone cover that up? Sadly, we can’t keep it and still make a larger entryway, but maybe we’ll bring it back to life in the new space as a nod to the original house?